This page is dedicated to the many styles of Tribal Belly Dancing. From it's creation in San Francisco to its spread world wide touching on all the new styles born from American Tribal Style® (ATS®) or Classic Tribal. I have compiled articles, books, costuming, videos and websites on tribal belly dance and as this style of dance is ever evolving so will this page. 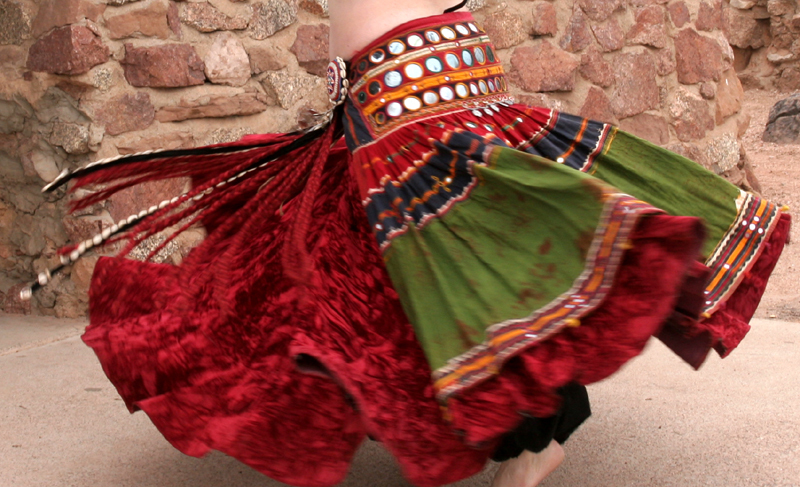 Articles - below are various articles on tribal belly dancing. From the definition of tribal belly dance to the history of this art form and some pieces in between. Costuming - below are articles, books and patterns of tribal costuming. YouTube Clips - YouTube is a fabulous place to find clips of Tribal artists from ATS to tribal fusion. Enjoy the clips below these are only the tip of the iceberg when it comes to tribal belly dance clips. Interviews with well-known artists and who considers themselves "tribal"
Websites - contained here are informative websites on tribal belly dancing. For tribal soloists and troupes please visit the "links" page.